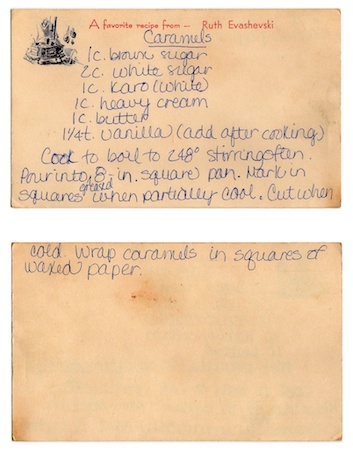 Like many people, I have a file folder full of clippings and handwritten recipes. Despite my professional inclination toward classification, it has no organization at all, so that when I want to find a recipe I once made back in 1994, I need to sort through the entire unruly pile. The question is: why keep this stack of ephemera at all when there is no shortage of beautiful websites devoted to conjuring the perfect recipe in an instant? I could spend all day on sites like Gojee, My Cooking Diary and FoodGawker, but I can’t quite get myself to dump my pile of papers that serve as tangible memories of what I’ve made over the past 25 years. Represented there is the vegetarian nut-loaf phase, the risotto phase, the experimental holiday dinner phase, among others. If I had the time, I suppose I could scan them into Evernote, or at least put them in a binder – it’s on the list. 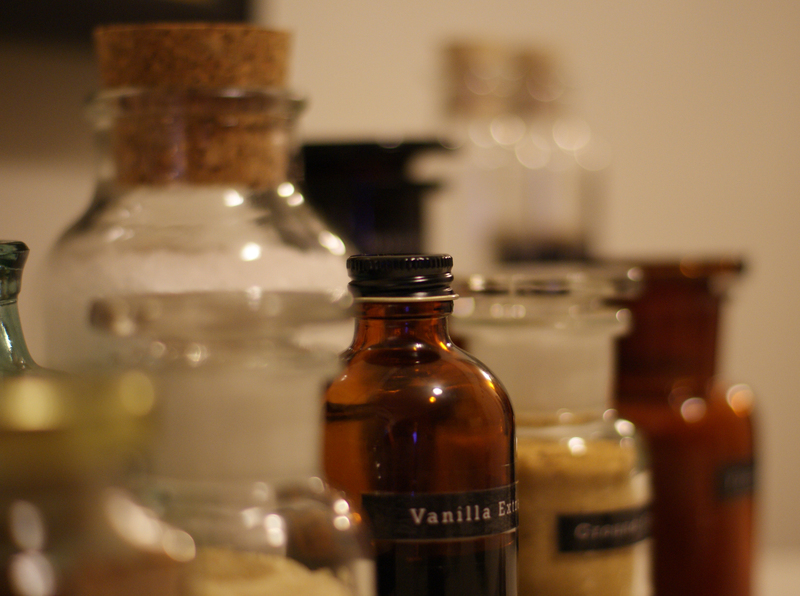 My friend Forest, who is always a source of inspiration, found a beautiful solution to bridging the gap between the analog recipe card and the digital recipe database. 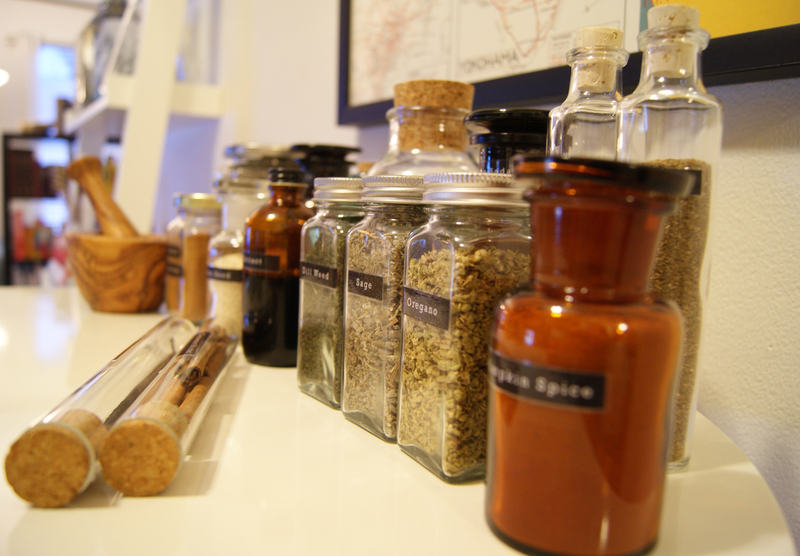 When his grandmother – the matriarch of a large family – passed away last year, there was some discussion about who was to receive her much coveted recipe box, full of meticulously handwritten cards containing the key to so many dishes she was known for. Forest took on the project of scanning and organizing the cards so that anyone in the family could have access to Ruth’s recipes, and through the process has started experimenting with making foods he hadn’t had since childhood. All he has to do is prop up his iPad in the kitchen and he can scroll through the culinary history of his family. We have gotten together a few times this year to try some of these vintage gems that call for ingredients that are so not 2011. When was the last time you used Karo syrup? This fall, we tried our hand at making seafoam candy, something that Forest remembered fondly from childhood particularly because the making of it is like a wacky science experiment. Our attempt, however, was a failure when we let the sugar and syrup overheat and suddenly it was a sticky inedible mess. I kept meaning to try it again with the girls, but never got around to it and I was left wondering what it would be like if it actually turned out. 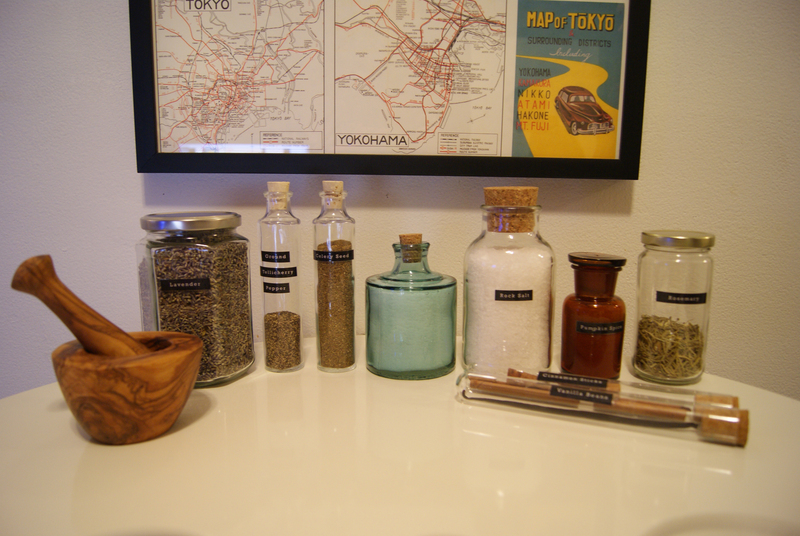 On Monday, I received one of the best DIY holiday gifts ever. 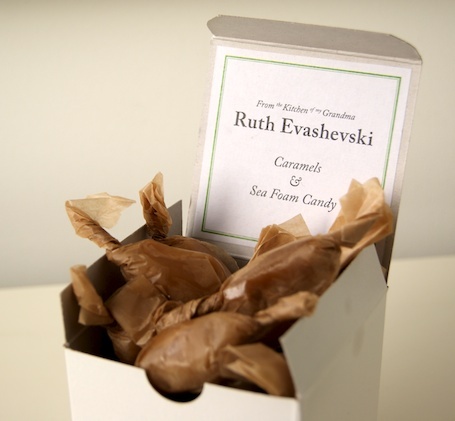 I came home to the little box pictured above filled with salted caramels and seafoam candy from the kitchen of Ruth Evashevski. The caramels were to die for and the seafoam was better than I even imagined it could be. I can’t think of a better way to honor a beloved grandmother than through preserving her recipes this way and actually making them! 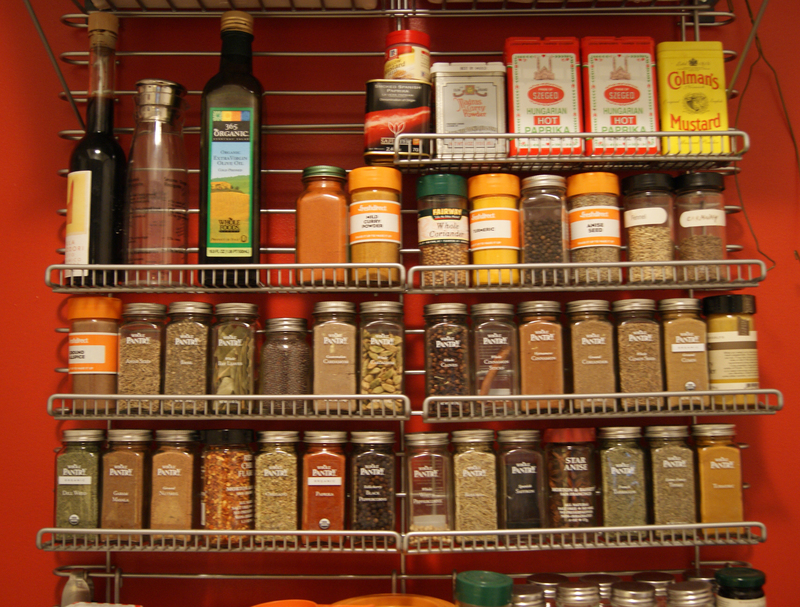 Which of your grandmother’s recipes do you still make? I love its elegant simplicity, but I can’t help but think how much it doesn’t look like the lists I make. I mean, where is the grocery list, the overdue wedding and baby gifts to send, the after-school club to sign up for, or the laundry detergent? 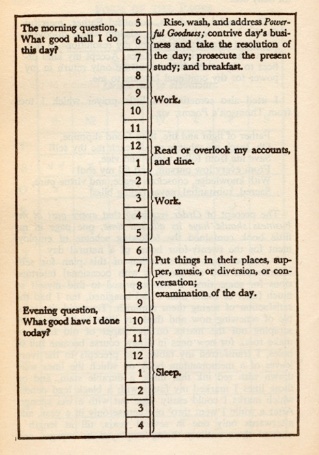 Of course, all those questions were answered when I came across Ben Franklin’s wife’s daily schedule. Mystery solved. Elsewhere on the web, there are a few sites devoted to the art of the list. One of my favorites is, Daily Routines, a compendium devoted to the schedules of interesting people. The blog hasn’t been updated in quite a while because they are working on a book, but if you want to know how Simone de Beauvois, Charles Darwin, and Le Corbusier organized their days, this is your resource, and I am look forward to the book. Pretty Listed is a Tumblr site that collects images of various lists and schedules. It appears to be a great idea that hasn’t gained momentum yet, but I would love to see more submissions there. And finally, I couldn’t resist the beauty of these lists featured on designer, Melissa Easton’s blog, Mrs. Easton. Take a look. 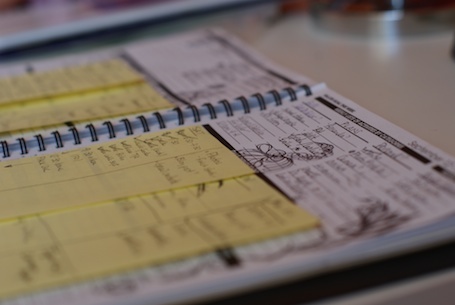 To-do lists and other things we write down on scraps of paper. Once again, Domaphile has been on a bit of a hiatus due to late summer vacations, hurricanes and the back to school frenzy. Lately the only kind of writing that is getting done is the utilitarian: the making of lists, the filling out of forms, and the writing of checks. When the note gets too full and things get crossed out, I (gasp) re-write it, which I have heard is totally counter-productive to actually being organized. But there is something about the act of making the list that almost feels like doing the thing itself… until later, when the list is long and the things are never done – that’s when the list can turn on you. The exhibit includes all kinds of lists and enumerations, from Picasso’s handwritten list of recommendations for the Armory show to Arthur Dove’s list of abbreviations for the weather to Eero Saarinen’s most beautiful list of the qualities he found best about his wife. 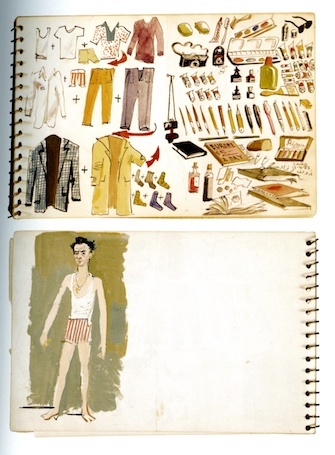 But my favorites of all were the journals of Janice Lowry, an artist I wasn’t familiar with until this show . She intertwined her daily to-do lists with the journals she kept for over 30 years into beautiful collages that celebrate that mundane compulsion to write it all down. Everything from buying stamps to listing all the people she needed to forgive. She died too young, but her lists are something to aspire to. If you want to see them for yourself, the Morgan show runs until October 3rd. Check it out and make a list. 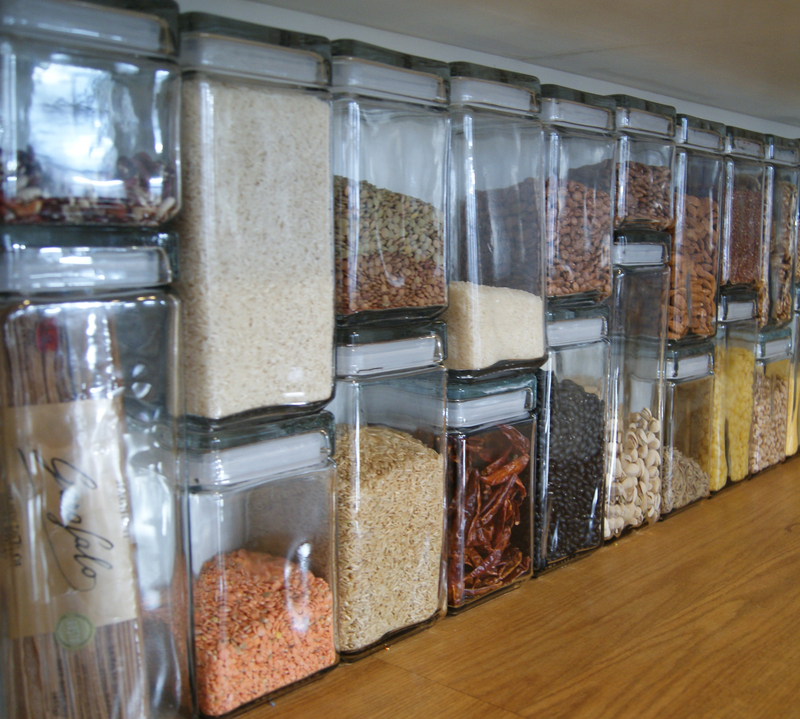 Fall seems to be the season of organization – what do you use to keep it all together?